Only a couple more weeks to finish off our charity drive!! 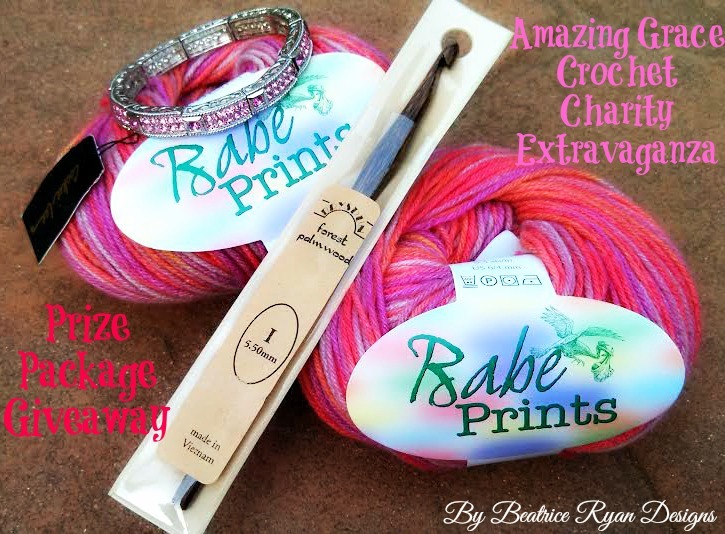 I have received many great donations already,,, And hope to see more packages rolling in before the deadline of October 31st… Once all the packages have been received,,, I will be delivering them all to Crochet for Cancer! With the Winter months upon us, there will be a large need for soft, cozy hats for those who are suffering and recovering from cancer… And now is the time you can make a difference!! You also can be eligible for the Fantastic Prize Package by getting your donation in by the deadline!! Even 1 hat makes a difference, So please consider paying it forward by using a free crochet pattern and making a hat, scarf, cowl or any great item you think would help someone stay warm and give them some comfort during their time of need!! For all the rules and information to participate in this great charity drive… Click on the Amazing Grace Crochet Charity Drive tab at the top of the page!! Lets Make A Difference!!! Amazing Grace Weekly Featured Pattern!! 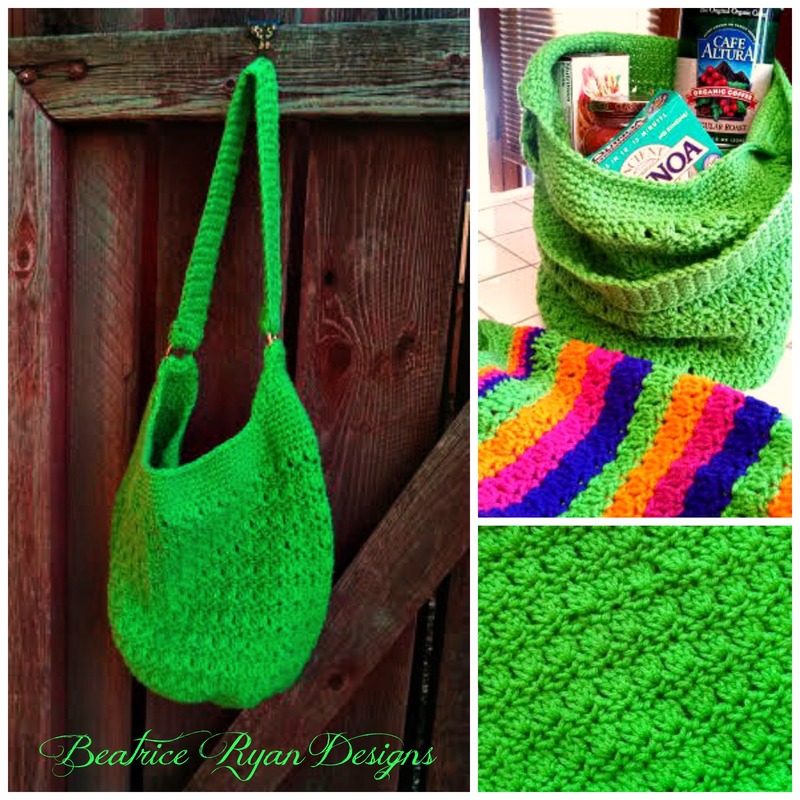 When I designed this Free Pattern, I was picturing this bag to be given to a patient for their chemo appointments… They could fill it with a light weight blanket, book, crocheting or any items they need to help them pass the time while receiving their treatment. It is a fun and simple project and could brighten the day of someone suffering or recovering from cancer!! To make this fun tote bag… Click Here!! Let me know what you think! Yes I do!! I love yarn and today we are celebrating it!! I am going to start my next Amazing Grace Design… This pattern I will be starting today will be for the Grand Finale of the Charity Drive!! You are going to love this new pattern,,, It is feminine, soft, and fashionable!! I can’t wait to show you… So stay tuned!! There are lots of great Sales on yarn today so don’t miss out!! Have fun and do something great with yarn today!! Happy I Love Yarn Day!! What will you be making?? Leave a comment, I would love to hear!! I’m currently working on 2 projects: a sashay yarn ruffled scarf, and a Sarah Arnold design called Divine Hat. Beautiful patterns she puts out…. Kinda like someone else I follow.. 😉 All works are donations to out local cancer center.